Jonathan Iglesias started playing handball at the age of 10, picking up the big ball game on the 1-Wall courts on various New York City parks. He would often play for up to 10 hours a day, quickly becoming obsessed with the game and the competition. Known affectionately as “Pudgy” to his New York City contemporaries, Iglesias became a fixture on the New York tournament handball scene and the junior national handball scene. Iglesias applied his aptitude for 1-Wall big ball handball to 4-Wall handball, developing a hybrid style that incorporated his unique outdoor talents with the indoor game. 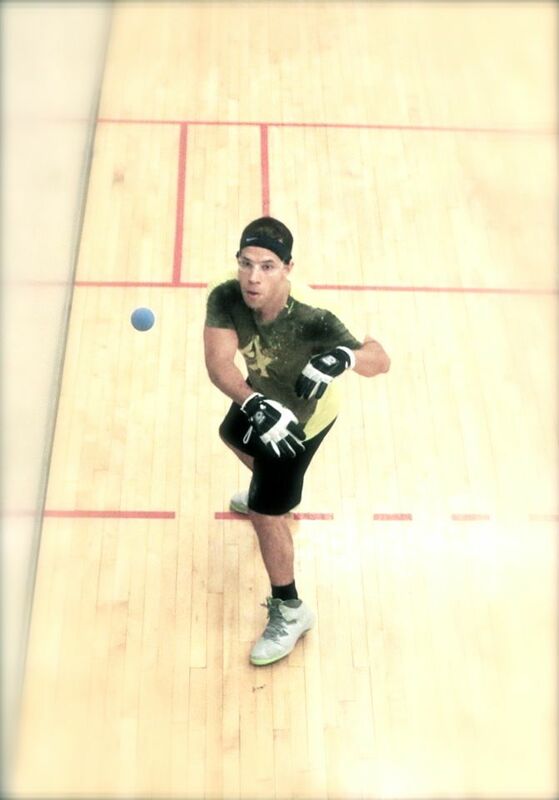 By his late teens, Iglesias was one of the best all-around handball players in the world, capable of competing against the best players in the game in 4-Wall, 3-Wall, and 1-Wall with either the big ball or small ball. Iglesias headed to Chicago and Lake Forest College to train under Hall of Fame coach Mike Dau and to play for one of the handball’s collegiate dynasties. Iglesias became a four-time All-American at Lake Forest, honing his singles and doubles game with good friend Suhn Lee. Iglesias also participated in the country’s most prestigious professional handball tournaments while attending Lake Forest, gaining experience that would further elevate his handball game. Iglesias works full time in New York City but commutes to Costa Rica frequently, serving as the Development Director for handball in Costa Rica. Iglesias represents the New York Athletic Club, home to 248 Olympic medalists throughout its illustrious history. Iglesias belongs to a celebrated list of New York Athletic Club sponsored handball royalty throughout its proud lineage, including John Bike, Tracy Davis, and Paul Brady. Iglesias will serve as one of the New York Athletic Club’s player-hosts at the WPH NYAC Race 4 Eight IV Stop #4, March 13th-15th, 2015 at the New York Athletic Club. 18 years after starting as a 1-Wall big ball player, Iglesias is a 10-year veteran on the 4-Wall professional handball tour. Currently ranked #13 on the WPH R48 tour, Iglesias has proven he can beat the very best in the sport. Wins over Luis Moreno, Sean Lenning, and Mando Ortiz in the past year have demonstrated that Iglesias is a major force on the WPH R48 tour. Iglesias continues to climb the WPH rankings, as he approaches every player’s goal of becoming a member of the highly acclaimed WPH Elite 8. Iglesias has finished 9th and 10th in the first two Race events of the 2014-2015 Race 4 Eight IV season, placing him at 11th on the R48 IV season points list with an impressive 5-3 record against ranked pros on the season. Iglesias recently added the prestigious Albany Open title to his growing list of achievements. To follow Iglesias and all of your favorite R48 stars, like the World Players of Handball on Facebook, log onto wphlive.tv or follow the WPH on Twitter @dfwph and @wphlive.